It's time for a script font with magical appeal. Think island. Think orient. Or for some, the magic is real. It's voodoo! Voodoo Script! We'll give you this limited example of Voodoo for free, but if you opt for our commercial version, it will arrive with 14,000 kerned pairs and over 45 alternate characters and ligatures! You also get a special Voodoo bonus font!!!!!! 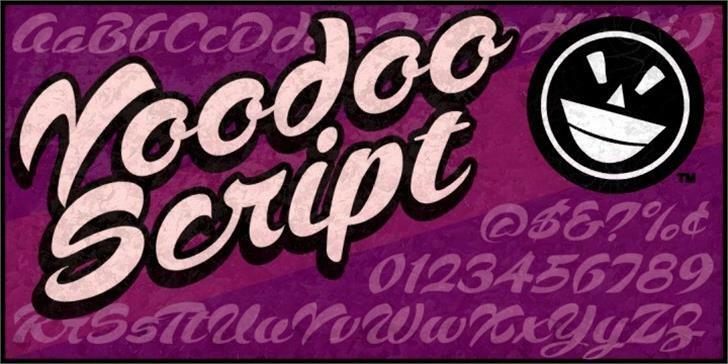 Voodoo Script is a trademark of The Fontry.